We offer professional PowerPoint presentations to the employees of companies and schools that are at risk of terrorist intrusion. The way in which we operate is confidential and is not available to individuals oniine. We do however, provide a training course for those individuals who wish to become members of our team of anti-terrorism consultants. Previous military and/or law enforcement experience is desired. How do you know if your facility is at risk for a terrorist intrusion? Terrorist attacks are not always perpetrated on a huge scale such as the World Trade Center towers on 11/9/2001. Small resevoirs in semi-rural locations, medium to large sized grocery stores, and shopping malls of any size (including "strip" malls), are all examples of potential targets of terrorists. The good news stops there. The bad news is that the hardening of these targets has increased the appeal of shopping malls, sports arenas, hotels, restaurants, bars, nightclubs, movie theaters, housing complexes and other "soft" targets that remain relatively unprotected against terrorist attacks. But terrorists are nothing if not adaptable. If it is harder to strike one kind of target than another, they will eventually strike the easier target. Indeed, it is a marvel that terrorists haven't already struck soft targets in the United States. ﻿These kinds of attacks are common throughout the Middle East and South Asia, and they are becoming increasingly routine in parts of Southeast Asia, Russia and Africa. Periodic intelligence reports raise concerns that terrorists have contemplated carrying out such attacks here and have plotted to do so. ﻿Apartment complexes have been cased, and synagogues have been threatened. Intelligence analysts and law enforcement experts consider suicide bombings, car and truck bombs, and sniper fire particularly attractive means by which to attack softer U.S. targets. ﻿Because there never has been a terrorist attack on a soft target in the United States, the psychological effect probably would be disastrous, even if the casualty toll were relatively low. If the attack were to take place outside the major cities already considered prime terrorist targets -- such as New York, Washington, Los Angeles and Chicago -- the collective national psyche would be especially traumatized. For the first time, every American, wherever he or she lived, would feel at risk. A single suicide bomber in a shopping center in Topeka, or a single bomb-carrying car rammed into a movie complex in Omaha, could bring the nation to its psychic knees. ﻿Adding to the appeal such scenarios hold for terrorists is the reality that precious little can be done to prevent them in a society like ours that rightly values personal liberty so highly. Terrorist attacks in shopping malls, restaurants and the like are everyday, fact-of-life occurrences in Israel, and so the Israelis have come to accept countermeasures such as metal detectors, bomb-sniffing dogs, armed police patrols and undercover surveillance teams on the lookout for suspicious-looking people and suspicious behavior. ﻿In America, the few security guards working at soft targets often are unarmed, untrained and unmotivated. Camera surveillance systems (when they are in place at all) tend to be monitored only irregularly, and when the cameras are monitored, the security guards usually focus more on potential thieves and troublemakers than on potential terrorists. 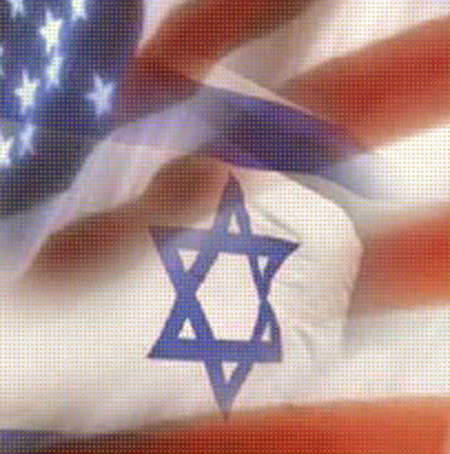 Absent an attack on a soft target in this country, the American people simply won't tolerate the draconian countermeasures that Israelis accept without complaint. ﻿The upshot is a deadly double irony. The very fact that there hasn't been an attack on a soft target in the United States increases the danger of one. And, the harder we harden hard targets, the more likely an attack on a soft target becomes. Sabra Securty is here to help you, your employees, and your loved ones to be pro-active regarding the ﻿terrorist threat we face everyday. Update: Since the attack in San Bernadino, there is a new need to make the public aware of how to prevent terrorism. We need to be forever vigilant. If you see something, say something.